One of the most useful tools, whether you're a guitarist, vocalist, or play any other instrument, is a metronome. Yes, a metronome is as simple as a light and click, but internalizing the beat and staying in time is a great practice tool. One of our favorites is The Metronome by Soundbrenner. It's free to download, and we like that it's been updated for iPhone X (and XS, XR). You can choose to flash the screen, the LED next to the camera, and choose from different click sounds. In addition to being a good metronome, it allows you to create set-lists and works with Ableton Link, which allows electronic instruments (like soft synth apps on iPhone or iPad) to keep in time when you play with them. If you're tuning an instrument, a tuner is a big help, for you and your listeners. For guitarists, we like Polytune. Polytune existed as a guitar and bass pedal for years, but has been available as an app for a while now. The reason we like this app over some others is, you can tune a guitar by strumming all the strings and seeing them all as sharp/flat/natural all at the same time, rather than having to go string by string. It doesn't allow you the fine control that you might get with a stroboscopic tuner, but for quick adjustments, it's our go-to. If you're a vocalist, or play another instrument, you need a chromatic tuner. Besides just helping you tune an instrument, it's a pitch trainer. You can record yourself and then analyze how in or out of tune you were. Scoring your pitch can only help you develop your ear and sense of when you're in tune. Tenuto and Music Theory are from the creator of musictheory.net, and are great applications that can help you learn the keyboard, a fretboard, and music theory from rhythm to scales, key signatures and modes. You can do timed challenges to quiz yourself, and focus on the weak spots in your theory knowledge. or learning scales, key signatures, chords and inversions. All of these apps are cool, but what can you do to make your guitar sound cool? Well, the first thing you need is a way to get the guitar audio into iOS. iK Multimedia's iRig HD 2 is their latest version of the iRig, the simplest way to get guitar into iOS, use an app to change the audio, and then take it back out to headphones or an amplifier. It's got an input level control, headphone volume, a mic stand clip, and retails for $99.99. It comes with licenses for Amplitube 4 for Mac and PC, and unlocks the full version of Amplitube for iOS. Amplitube contains a number of amp models and guitar effects pedals, as well as a metronome, tuner, and recorder. But suppose you don't want to create all those effects chains? If you just want to play with the tone of your favorite musicians, Tonebridge, free from Ultimate Guitar gives you tones from over a thousand songs. Tonebridge has a ton of songs in it. Seriously, if you can't find the sound you're trying to replicate, it might not exist. Want the sound of Nile Rodgers, but you don't own a 1960 Fender Stratocaster with a 1959 neck? Tonebridge will let you dial up the sound in just a few taps and create a setlist. It conveniently works with MIDI footswitches, so you can switch between effects, control volume and more. Blueboard is a bluetooth MIDI footswitch that can be configured to send program and control codes, making it ideal to control effects in apps. It works with Tonebridge, Amplitube, and Bias FX. Blueboard costs $99.99, and works with its own app to configure the types of MIDI signals to send, and controls a ton of other applications, because MIDI is a universal standard. Ask most musicians, it's hard to switch effects on and off with a touchscreen when you're playing an instrument -- controlling the apps on the touchscreen with footswitches is a proven method and one most guitarists know well. So now you're making all this fantastic music. How are you going to record it and share it with the world? 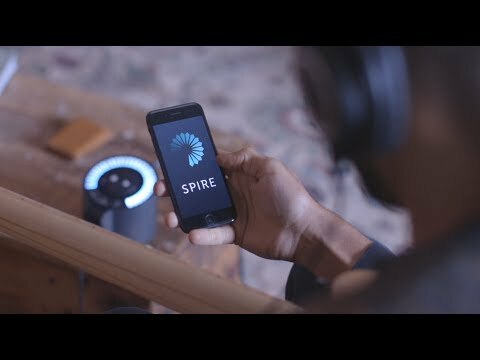 We've used Spire Studio in the past, and it's been amazing for getting good sound without a ton of work. When you have an idea, or a band rehearsal, you want to press record and not worry about setting levels. Spire sets levels for you. Spire Studio is currently on sale for $289.67, down from $349. We mentioned applications like Amplitube or Tonebridge. BIAS FX Mobile turns your iOS device (iPad and iPhone with the same app, thankfully) into a guitar amp and effects processor. It gives you an easy to use drag-and-drop interface that includes everything that a guitar player needs for professional tone, with a large collection of analog-sounding amps, guitar pedals and advanced rack effects, on a dual signal chain setup. It can be controlled by MIDI including the Bluboard we named before, and has a tuner and metronome built-in. What makes BIAS FX so good is the amount of work that their engineers put into modeling the amps and effects. It's also possible to edit the effects and create new ones from the touchscreen. It syncs with Bias' ToneCloud service so you can share sounds and effects settings with other musicians. We demoed the Eventide H9 back at Moogfest and spoke with Eventide about it on the AppleInsider Podcast.. The H9 looks unassuming, for all the flexibility inside. What Eventide does is make an effects pedal, the H9, and it's controlled by the app on the App Store. This has the benefit of not having to run effects through an iOS device, and reduces complexity / increases reliability in a performance setting. It's really convenient to be able to program your H9's without having the stoop down and fiddle with knobs forever. This is Eventide's biggest advantage over competitors: you can program it from the touchscreen, and have the settings stored in the pedal. There are over 500 presets with effects chains for it, and it's from Eventide, who have a long history of making effects and sound support for professional musicians. Eventide has been used by Steve Vai, Jimmy Page, Frank Zappa, Eddie Van Halen, Richard Devine, Suzanne Ciani (who we interviewed), and more. The H9 starts at $399 for the Core model, and goes up to $699 with additional algorithms for additional effects. Zivix recently released the Jamstik 7, a 7 fret version of their MIDI guitar controller for learning how to play guitar, on sale for $199.99. It's really handy having that extra couple of frets over the original version, and comes bundled with apps that make learning to play easy. Improvements include touch capacitive fretboard, which makes it easier for the guitar to recognize which note you're trying to play without having to apply a lot of pressure. It works with the Jamstik app for iOS, the online tutoring application at play.jamstik.com, and Jamtutor for iOS, which teaches guitar in a step-by-step fashion. We reviewed its predecessor favorably, and this model addresses the wishlist people had for the original: more frets, better sensitivity and string height feel, making it easier to learn to play and develop good technique. Not trying to be negative, but the title should really read “Tech gifts for the guitarist in your life”. Any ideas for someone playing string or wind instruments, or percussion? Will any of this give me the ability to play like Eddie Van Halen? Regarding a stringed instrument (specifically violin, viola, cello or double bass), I’d recommend the app “FingerFiddle” for iOS. It gives a user a solid understanding of the connection between bowing technique and creating actual sounds (good bowing technique is very important), and it’s also helpful for learning finger positions for the notes on the neck of a classical stringed instrument. The sound quality is pretty extraordinary for an iOS app also and the computer modeling technique the developer used to create the sounds is fascinating also. I have no connection to this developer, except for the fact I bought their app and have used it to good effect in recordings. Regarding the Jamstik: As a customer who plonked down money for the previous version, my advice would simply be to buy a real guitar, then play along with the lessons that come with the desktop version of GarageBand (or find and play along with any number of the thousands of instructional videos available on YouTube). I found the Jamstik to be poorly constructed, difficult to handle (without the rest of the guitar body it’s hard to balance) and the strings ride too high above the fretboard, which makes pressing on them painful and annoying. Just get a real guitar because that’s the whole point of learning anyway. There are good cheap guitars available on the Monoprice site, or go to a pawn shop or chain music store and play around to find something that feels comfortable. You're right. At the same time, a percussionist is going to benefit from a metronome and Tenuto / musictheory.net. There are some very cool midi enabled drumsticks, like https://www.kickstarter.com/projects/freedrum/freedrum-the-drumkit-that-fits-in-your-pocket - but I haven't seen them in person. I've seen and used all of the things in this list, and don't feel comfortable recommending something I haven't seen with my own eyes. Does that make sense? The original was hard to play - the string height wasn't good, and it sensed based on the string movement. The new version is touch capacitive sense, the string tension is adjustable, and we're looking into it more.